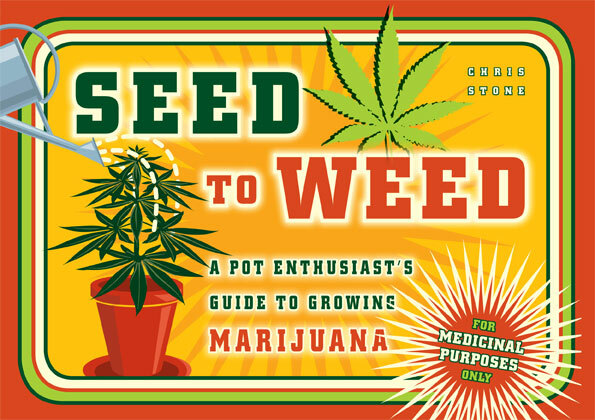 Seed to Weed is the first truly accessible guide to cannabis-growing to be created specifically for novice growers in California and other US states where it is legal to grow your own [note: it is not legal to grow your own cannabis in the UK]. Written in jargon-free language by Chris Stone, author of the bestselling companion titles Spliffigami, Bongology and Baked!, this colourful guide presents all of the botanical, technical and how-to details with a light touch and in a humorous tone. Illustrated throughout with specially commissioned, full-colour illustrations, the pages guide the reader through the growing cycle of the cannabis plant, from seed to harvest. From which variety to plant, whether to grow indoors or out, how to germinate seeds and to propagate seedlings, when and how to harvest – right through to dealing with troublesome pests – Seed to Weed takes the pain out of pot-growing.